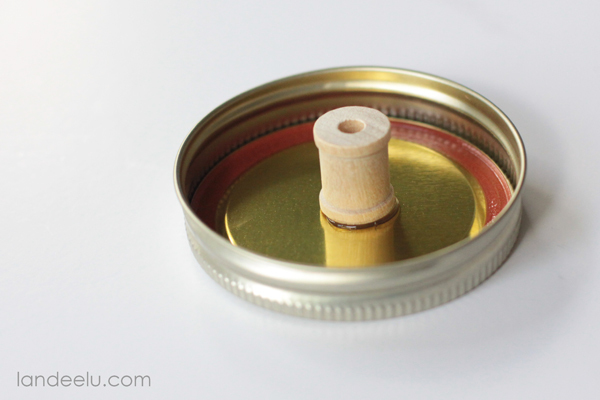 STEP ONE: Hot glue one of the spools to the underside of the mason jar lid. I did one with arms and two without for variety. 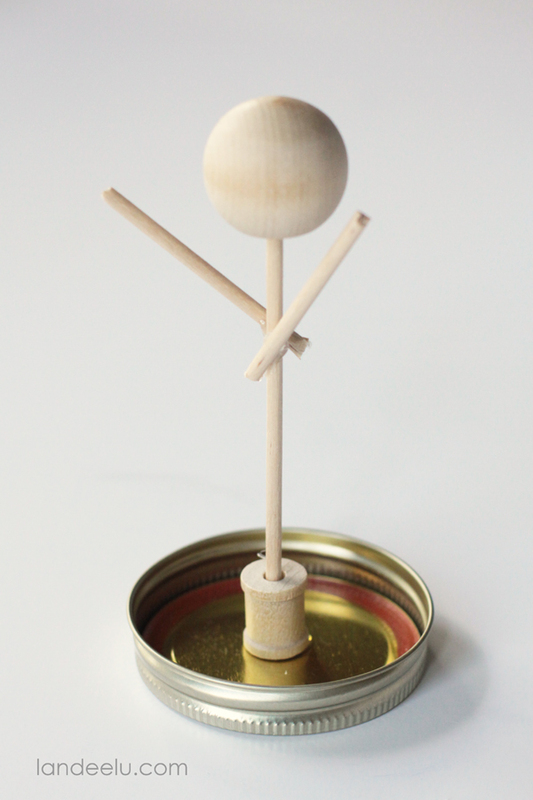 I also made one tall and one short. STEP THREE: Layer several pieces of cheesecloth together (I ended up doing four layers) over top of your newly created “ghost forms” and dry cut the shape/length you’d like them to be. Make them a little longer than you think you’ll need as the next step will shrink the cheese cloth a little. 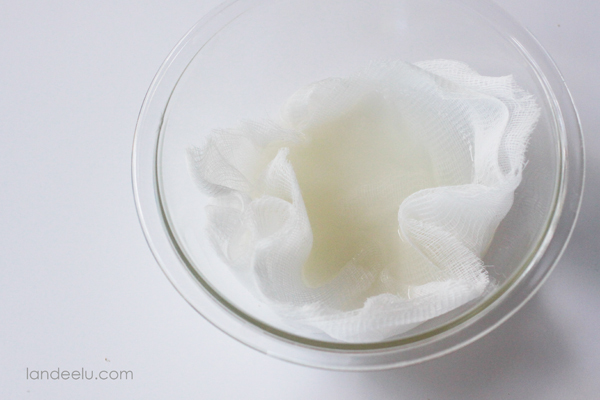 STEP FOUR: Pour some liquid starch in a bowl and then, keeping the layers together, immerse the cheesecloth for one of the ghosts into the liquid starch until saturated. STEP FIVE: Remove cheesecloth from bowl and squeeze out any excess starch. 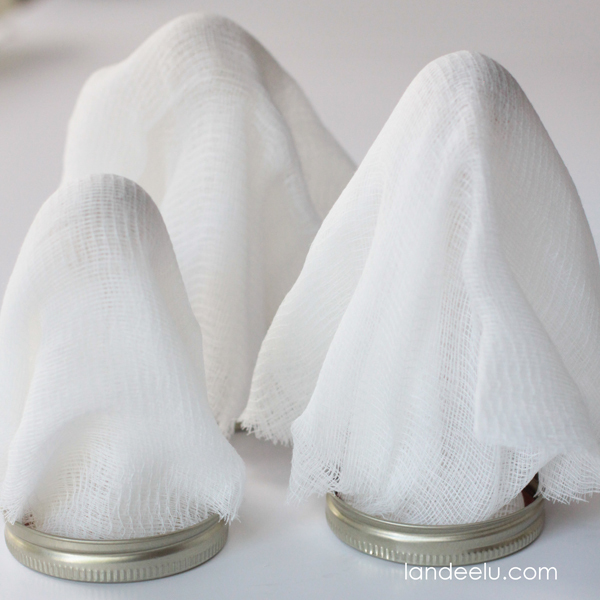 Carefully flatten out the cheesecloth and then drape over your ghost form. Play with it a little to shape it how you’d like and then allow to dry completely. 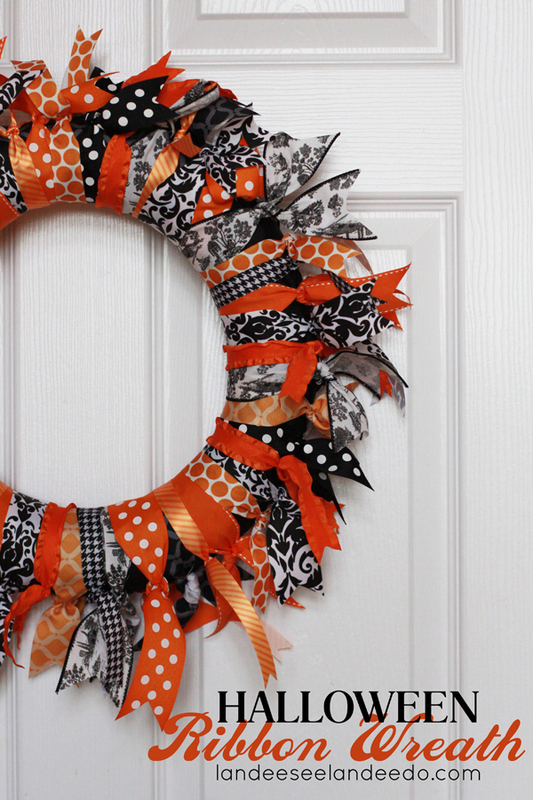 STEP SIX: Dot a couple of eyes on using black craft paint or a sharpie. 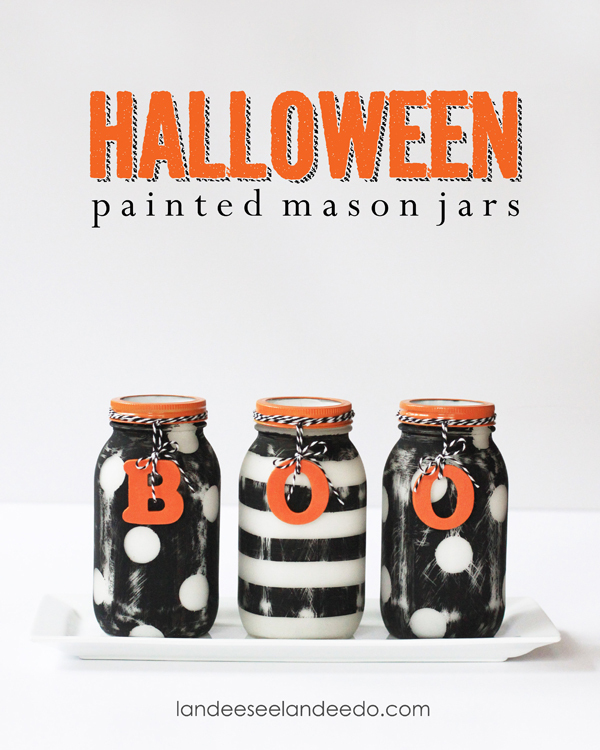 Carefully put the lid back on the mason jar and trap your new little ghost inside! STEP SEVEN: Optional but I decided to add a little 1 1/4″ strip of scrapbook paper around the base to cute it up a bit. Just wrapped it and taped it with scotch tape. Boom. I squeal at the cuteness! 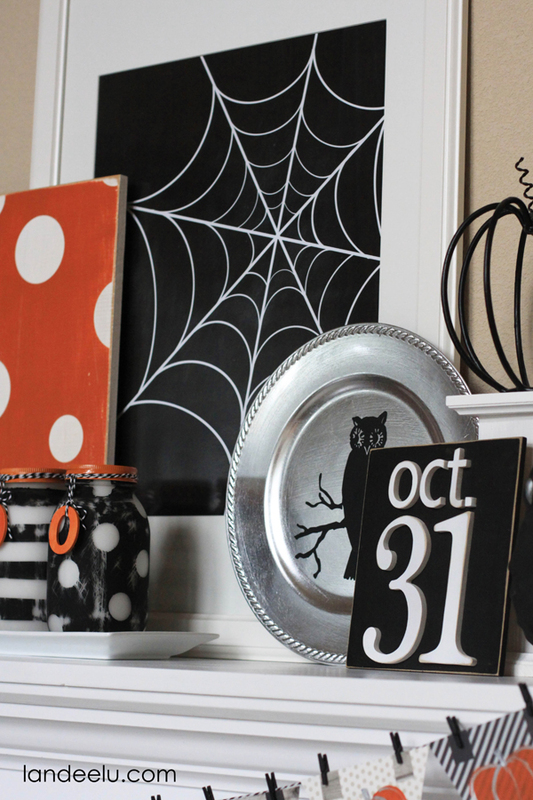 Here are a few more Halloween craft ideas you might like! Stop on by and check them out! These are adorable! 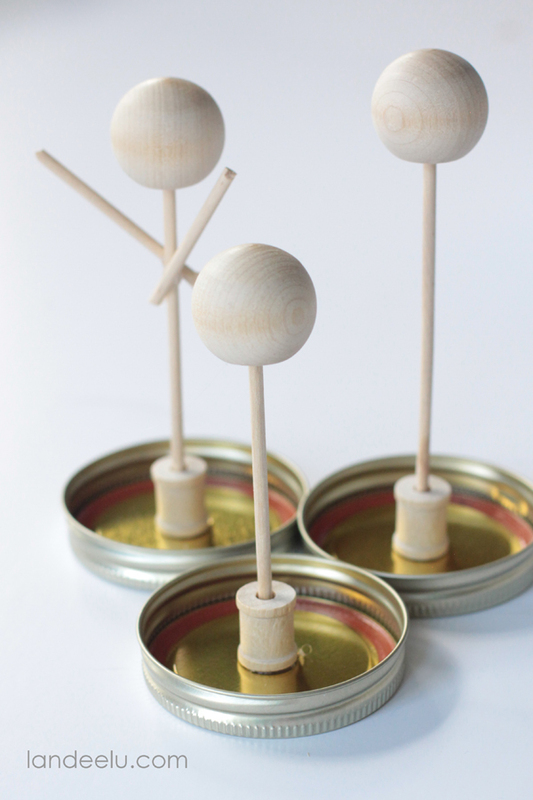 They'd be cute even outside the jars, just standing on the lids! How long does the starch take to dry? 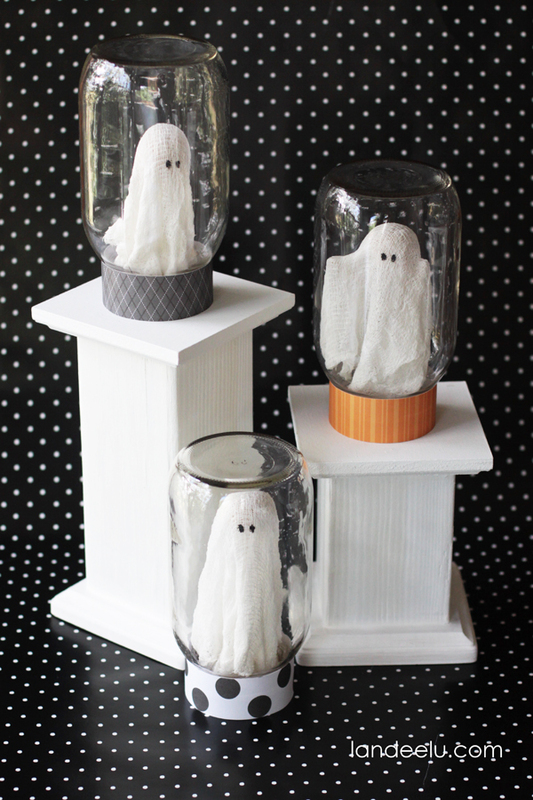 I'm thinking of doing these with a bunch of kids, but if it takes super-long to dry, that wouldn't work very well. Hi Holly! 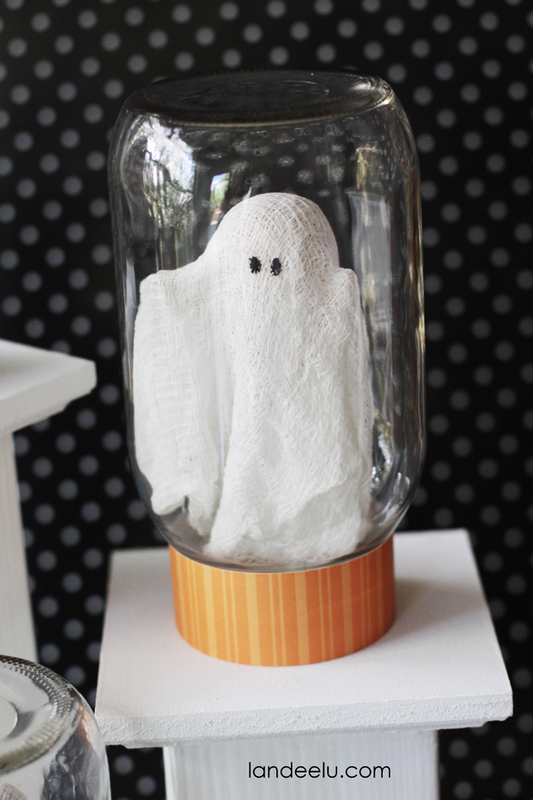 It would be great for kids but it does take several hours for the ghosts to dry completely. The outside hardens up pretty well in about 45 minutes. Probably enough to do the eyes and then let the kids take them home to dry the rest of the way? Cute idea. This is getting pinned. Oh my goodness. Great job! 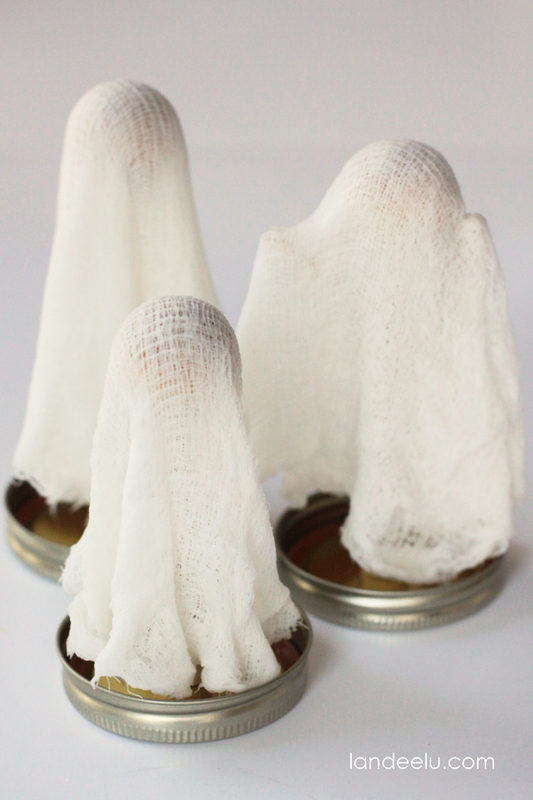 Love this take on the traditional cheesecloth ghosts. These are completely SQUEEEEE! 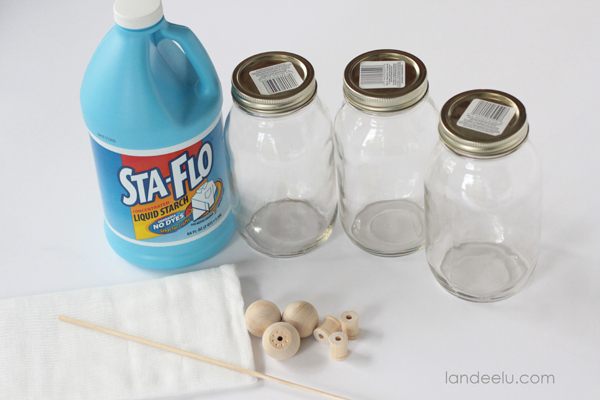 You know, if you use something like StiffenStuff from Beacon Adhesive instead of starch you can remove them from the form when dry and they’ll just stand up in your jar (or out of it). Actually the starch ones might as well. 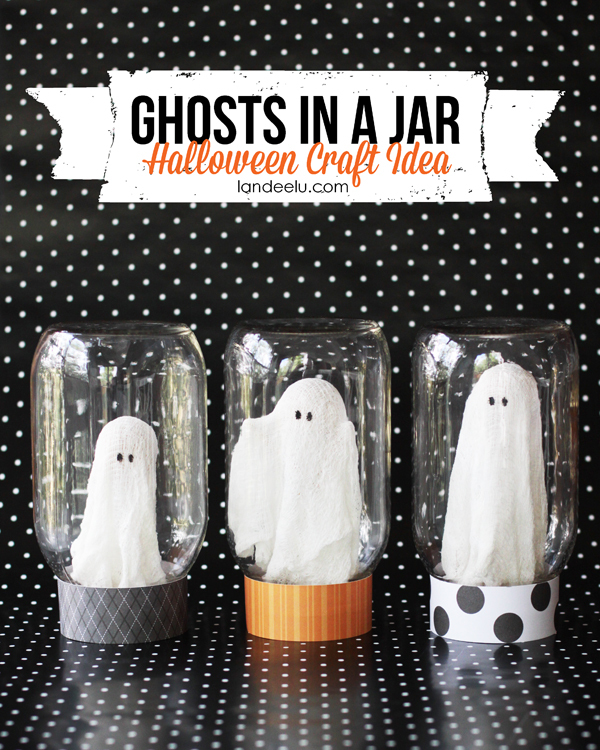 Then you could make little ghostly hoards with only one form. Saves some $$, too.